Why Prime Minister Wants To Install His Own Man In Rashtrapati Bhavan? The new President of India would assume office on 25th July. The people of India are discussing about the constitutional role of the President of India. The majority of people believe that the President has no special power and he is only a rubber stamp who acts as per the wishes of the elected Government which plays a very important role in his election. Many of them expect many things from the President as he adorns the highest constitutional office of the country and state that he can play a visible role in the government system of the country as he is the highest constitutional functionary of the country. But in actual constitutional and political practice he has a limited space to influence the decision-making process of the Union Government. The real power is exercised by the Council of Ministers headed by the Prime Minister who runs the administration as per the letter and spirit of the Parliamentary democracy envisaged in our Constitution on the lines of the Westminster model. But even in this kind of system the President can make a visible impact in some areas. Let us see how can the President of India influence the decision-making process of the Union Government or what is his actual constitutional position. The Indian Constitution is a written Constitution which defines and delimits the powers and functions of the different branches of the Government. The President is head of the Union Executive. He is bound to exercise his powers in accordance with the constitutional provisions. The Union Executive or the elected Union Government is collectively responsible to the lower House of the Parliament as per Article 75(3) of the Constitution. The Lok Sabha, the lower House of the Parliament, is the real power house of the Union Government. The moment it ceases to supply the power to the Government, the Government would immediately collapse. Nobody can survive it except the Lok Sabha itself. The President can dissolve the Lok Sabha but not on his own choice. The office of the President is created under the Constitution. It is mandatory to always have a President in our constitutional scheme.(U.N.R. Rao case). So is the Council of Ministers. The President holds the highest constitutional office in the country which earns huge honour, dignity and prestige. He is the head of the Union Government and all executive business of the Union Government is carried on in his name by the elected Government. Though he is intended to be a formal head of the Union Government just like the British monarch, he is not supposed to be a cipher or a rubber stamp. He is also the supreme commander of the defence forces of the country. But his military power is also subject to constitutional limitations. He can declare war on his own discretion. He cannot appoint or transfer the officers of Armed Forces without receiving the advice of the elected Government. He represents the collective dignity and identity of the nation. He is not a representative of a particular party. He represents the nation as he is elected by a national electoral college. In practice, the ruling political party in the centre plays an important role in his election. This all makes his position unique and visible. He is not a cage-parrot or a robot. All major appointments in the Union Government are made by the President of India as per the constitutional scheme. He appoints the Prime Minister and on his advice other Ministers in the Council of Ministers. If a hung Lok Sabha comes into existence, then he can exercise his discretion in inviting a person to form the Government whom he trusts to command the support of the majority in the Lok Sabha. But except the Prime Minister, he does not have any option to appoint a minister of his choice. He is totally bound to appoint the ministers as per the recommendation of the Prime Minister. All the ministers hold office during the pleasure of the President. He cannot dismiss the ministers without the recommendation of the Prime Minister. In actual practice, it is the pleasure of the Prime Minister. The Prime Minister is the boss of ministers, not the President. The President is an integral part of the Parliament. He inaugurates the joint sessions of the Parliament and plays an important role in the law-making process. The date, time and agenda of the Parliamentary sessions are decided by the Union Council of Ministers. No Bill passed by the Parliament can become a law without receiving the assent of the President. However in actual constitutional practice, he cannot withhold his assent to the Parliamentary Bills without the advice of the Union Council of Ministers. He can only once return the Bill to the Parliament for its reconsideration. President A. P. J. Abdul Kalam had returned the Office of Profit Bill to the Parliament which was subsequently passed without accepting the remarks of the President. He can also put the Bill on hold for an indefinite period of time as there is no time limit during which he has to give his assent to the Bill. President Zail Singh had exercised this option in Indian Postal Amendment case in 1986. The Constitution of India provides many powers to the President that he exercises on the advice of the Council of Ministers headed by the Prime Minister as per the mandate of Article 74(1) of the Constitution. Ordinance-making power is also one of them. When both Houses of the Parliament are not in session and the President is satisfied about the need for immediate action, he can promulgate ordinances which have the same force and effect as laws passed by the Parliament. But he cannot issue ordinances without receiving the advice of the Council of Ministers. It is the Council of Ministers which decides the matters and recommends measures to the President. It is the satisfaction of the Council of Ministers on the basis of which the ordinances are issued by the President.(R. C. Cooper v. Union of India, AIR 1970 SC 564). All the high functionaries of the government including the judges of the Supreme Court and of the High Courts, the Attorney-General of India, the Comptroller and Auditor-General of India, The members and Chairperson of the Union Public Service Commission, the heads of three armed forces of the country, the Governors etc. are appointed by the President. But in all these appointments, the President has no discretion. He is bound to follow the constitutional procedure. The President has also the emergency powers. Under Article 352 of the Constitution, he may proclaim a state of emergency in the whole or part of India on the advice of the Council of Ministers. He can issue a proclamation of Emergency on his own discretion. Under Article 356 of the Constitution, the President can dismiss a State Government on the advice of the Union Council of Ministers. If he has some reservations, he can only return the matter to the Cabinet for its reconsideration once but thereafter he is bound to accept the advice of the Union Cabinet which has full power to accept or reject his views. President K. R. Narayanan had exercised this option two times- in case of U.P. and Bihar Assembly dissolution matters in 1997 and 1998 respectively. On both occasions he had asked the Union Cabinet to reconsideration its recommendation which was duly honoured. Article 360 of the Constitution empowers the President to declare a financial emergency. Again, this power is also exercised on the advice of the Union Council of Ministers. In case of appointment of the judges of the Supreme Court and High Courts, the President is bound to act on the recommendation of the collegium headed by the Chief Justice of India. He can only return the matter once to the collegium for its reconsideration. But it is the collegium which takes the final decision in the matter. Now an important question arises: Is the President of India only a rubber stamp or a cipher or does he has some powers which he can exercise on his own discretion? This question has been raised many times in our country ever since the commencement of the Constitution. There was a confrontation between the first President Dr. Rajendra Prasad and the first Prime Minister Pandit Jawaharlal Nehru regarding this issue. My answer to the question is that the President of India is not a rubber stamp or a cipher. He is a constitutional head of the Union Government who can influence the decision-making process of the Government in some situations which demand the exercise of his discretionary powers. He is duty bound to protect, preserve and defend the Constitution and the law as per the mandate of his oath of office under Article 60 of the Constitution of India. If he fails to protect the Constitution, he may be impeached by the Parliament. He is a guardian of the Constitution as well as the nation. Eminent jurist Mr. Fali Nariman argues that being the first citizen of the country, the President of India has the constitutional right, and correspondingly the duty to interpose in public affairs of great moment. The author respectfully endorses this juristic view. The President of India is not an unruly horse. He is a creature of the Constitution whose powers and functions are constitutionally-controlled. Article 74(1) of the Constitution requires him to act only with the aid and advice of the Council of Ministers headed by the Prime Minister in the exercise of his powers and functions. The Supreme Court of India through various decisions such as Ram Jawaya Kapur, U.N.R. Rao and Samsher Singh has also laid down the law saying that the President of India is a constitutional head of the Union Government who is required to act on the aid and advice of the Council of Ministers and that the real executive power in our government system vests in the Council of Ministers headed by the Prime Minister. The President cannot dictate his terms to the Prime Minister. The President is not an appellate authority over the Prime Minister.(R. Venkataramn, My Presidential Years, 1994). But he is not a rubber stamp at all. Within his prescribed constitutional boundaries, he can influence the government system in certain situations. In 1976, the Parliament passed the 42nd Constitutional Amendment Bill through which the President was made bound to act on the advice of the Council of Ministers. The word “shall” was inserted in lieu of the word “may” by this Bill. The result was disastrous. The then President Mr. Fakhruddin Ali Ahmed acted like a rubber stamp in 1975 when he signed the proclamation of National Emergency. It is said that the then Prime Minister Mrs. Indira Gandhi had not even discussed the matter of Emergency with her Cabinet colleagues. The President was also given a surprise. In 1977, the then Acting President Mr. B. D. Jatti had refused to accept the advice of Morarji Desai Government to dismiss the 9 Congress-ruled State Governments. After a huge labour, the Janata Party Government was successful to convince the President to sign the proclamation under Article 356 of the Constitution. The 44th Constitutional Amendment Act, 1978 gives a limited option to the President to return the advice of the Union Council of Ministers once for its reconsideration. But after reconsideration, the President is bound to act on the advice of the Council of Ministers. The Council of Ministers has full power either to accept his views or to reject them. However, the President may put the advice on hold for an indefinite period of time as no time limit is prescribed in the Constitution during which he has to accept the advice of the Council of Ministers. This is pertinent to mention that if the President wilfully obstructs the working of the Council of Ministers he may be impeached for the same by the Parliament if the Council of Ministers holds a strong support of members of Parliament. The President is not a master of the Council of Ministers or the Parliament. The elected Government gets mandate from the people to run the administration. The President has to honour this constitutional mandate. He cannot impose his views or likes on the Government. But he can encourage, counsel or warn the Government if it conducts the administration contrary to the Constitution. Even being the constitutional head of the Union Government, there are some areas where the President may exercise his discretion and can influence the system. As mentioned earlier, he can exercise his discretion in appointment of the Prime Minister in a situation where no single party or alliance commands clear majority support in the Lok Sabha. In other words, if a hung Lok Sabha comes into existence. In case, the Prime Minister dies and the ruling legislature party is not able to choose a new leader, the President can appoint a Prime Minister of his choice. Obviously, the preference is given to a senior minister but as such there is no seniority rule prescribed in our Constitution. The then President Dr. S. Radhakrishnan exercised this option two times-once when Pandit Jawaharlal Nehru died and later, when Lal Bahadur Sastri died. On both occasions, he had appointed Guljarilal Nanda as Prime Minister. Subsequently, the Prime Minister was chosen by the concerned party. There is no provision of caretaker Prime Minister in our Constitution. If a Prime Minister loses the support of majority in the Lok Sabha and recommends the dissolution of the Lok Sabha, the President may take a different view in that situation. In 1979, the then President Neelam Sanjiva Reddy faced this situation when the then Prime Minister Charan Singh recommended the dissolution of the Lok Sabha after losing his majority support in the House. Mrs. Indira Gandhi had withdrawn the support of her party from the Charan Singh Government. 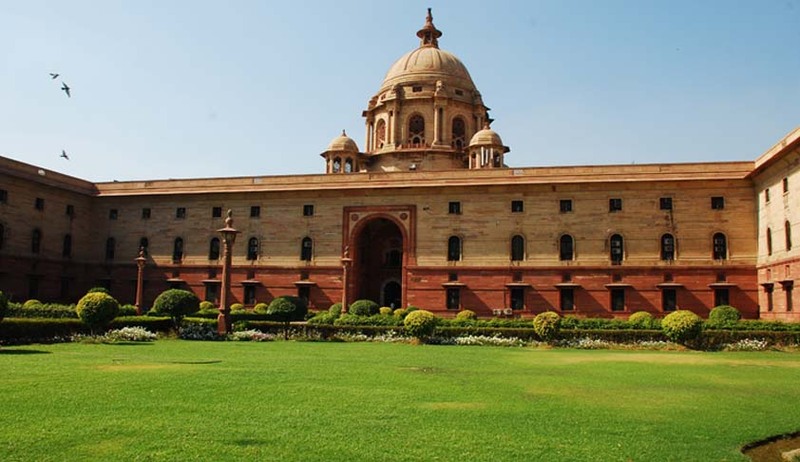 If the Council of Ministers loses the support of majority in the Lok Sabha and does not resign, the President may dismiss the Council of Ministers. In the Samsher Singh case also, the Supreme Court has also supported this view. In addition to the above situations, the President may also exercise his discretion in granting the sanction of prosecution against the Prime Minister. But this is a statutory power, not the constitutional power. However this power is very important as it can unseat the Prime Minister. The President also has a power to grant pardon to the convicts in certain cases. This is a constitutional power which makes his role more visible in the media. It would be better to throw some light on the disposal of mercy petitions by the President. Whenever someone files a mercy petition before the President as per Article 72 of the Constitution, he refers the matter to the Home Ministry for necessary action. The Home Ministry processes the file and gathers all information regarding those cases from various agencies including the prison authorities. Thereafter the ministry recommends a particular course of action to the President who is bound to accept the recommendation of the ministry. Like other powers, he can only return the matter to the Home Minister once for his reconsideration. But ultimately, he is bound to act as per the recommendation of the Home Minister. In his book titled My Presidential Years President R. Venkataraman has explained this view very well. President Pratibha Patil also narrated this view once through a press communiqué. In many cases such as Maru Ram, Kehar Singh, etc. the Supreme Court has also upheld this position. In actual constitutional practice, the pardons are granted by the Union Government. The President of India has another important power through which he can influence the decision-making process of the Union Government. Under Article 78 of the Constitution, he is empowered to seek any information from the Prime Minister pertaining to the Union Government. This provision is inherited from the British system where the monarch can seek any information from the Prime Minister relating to the Government. The Prime Minister of India is duty bound to supply the required information to the President. But no sanction is prescribed in the Constitution if the Prime Minister breaches this provision. The then Prime Minister Rajiv Gandhi had violated this provision when he refused to supply the information to President Zail Singh on the Bofors issue. The matter was widely covered in the media. It was also heard that President Zail Singh had made up his mind to dismiss Rajiv Gandhi’s government. On the other hand, rumours were also aired regarding the plan of impeachment against President Zail Singh. Thanks god nothing happened and both of them completed their tenures peacefully. To follow this provision, the Prime Minister meets the President frequently and informs him about the programmes, policies and decisions of his Government. In view of the above discussion, it is submitted that the President of India is not a rubber stamp or a cipher. He is a constitutional head of the Union Government who exercises his powers and functions as per the aid and advice of the Council of Ministers headed by the Prime Minister as per the constitutional scheme devised in Article 74(1) of the Constitution. As per proviso to Article 74(1), he is fully empowered to send the advice back to the Council of Ministers for its reconsideration once. However, ultimately, he is bound to act as per the advice of the Council of Ministers. But this advice is supposed to be a constitutional advice. He cannot unseat the Council of Ministers unless it ceases to secure the support of majority in the Lok Sabha. The Constitution does not empower the President to run the administration. That is the job of the Council of Ministers headed by the Prime Minister. But the Prime Minister cannot act like an unruly horse. The President is always bound to have a Council of Ministers even if the Lok Sabha gets dissolved.(U.N.R. Rao v. Indira Gandhi, AIR 1971 SC 1002). The President can only encourage the Government to run the administration as per the constitutional provisions. But no government can take him lightly. After all, he is the head of the Union Government and the head matters a lot. There are certain silences in our Constitution which give space to the President to disturb the mental peace of the Prime Minister. An ambitious President can disturb the Prime Minister a lot. So, no Prime Minister can dare to take the President lightly. This is why the Prime Minister wants to install his own man in the Rashtrapati Bhawan. After all, loyalty matters a lot in this land of Buddha. Dr. Lokendra Malik is an advocate practicing in the Supreme Court of India.